Our team of reliable professionals have been installing Los Gatos garage doors for years. When you book with a company that has our experience you can be sure that the job will be done right the first time and with a level of professionalism that is unmatched by anyone else. 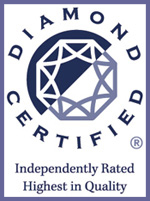 We are the recipients of the Los Gatos Diamond Certified garage door service award which means that our company is regarded as one of the best in the business. The next time you need honest, and dependable garage door repair in Los Gatos, look no further than Precision Garage Door Bay Area. Give us a call at (866) 949-3722 or visit us at 36 Quail Court, Suite 301, Walnut Creek, CA 94596. Curious about specific services that we offer? Read on below, we're sure we can fix whatever problem you have. There's no need to be anxious when you use Precision Garage Door Bay Area. All of our Los Gatos garage door repair technicians are well trained and ready to meet all your needs. We know that homeowners are often afraid of being taken advantage of when they need repairs done to their home, but we treat all of our customers fairly and our technicians are honest. If you need the most reliable garage door repair experts you've found them. Even if your problem is as simple as having dropped or run over your garage door opener we can have a new one working for you in no time. 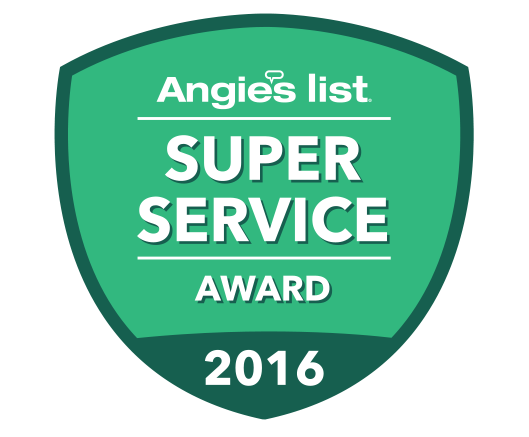 We are proud recipients of the Los Gatos Diamond Certified garage door service award. This means that we have proved time and again that our service is unparalleled and that our customers are always pleased with our work. Don't take our word for it though, read some of our reviews from your neighbors and you'll see why we're the go to for garage door repair in Los Gatos. 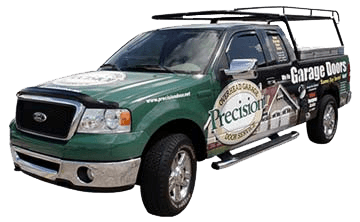 The next time you need a Los Gatos garage door repair professional go with someone Diamond Certified, go with Precision Garage Door Bay Area. No other Los Gatos garage door repair company will treat you with the same level of respect and professionalism that we will. We are always respectful of our customers needs and concerns. Whether you are installing an entirely new garage door or replacing a minor part, we will give you the individualized attention that you deserve. If you ever have questions about the installation or repair process or if you have question about the price of your quote, one of our Los Gatos garage door repair service pros will be happy to answer them. Don't deal with a poorly functioning door a moment longer than you have to. Give us a call as soon as you start experienceing problems and we'll get one of our technicians out to your home as soon as possible. Even the best made garage door will have parts fail eventually. The metal springs in your door may rust and break turning your garage door into a garage wall. Your garage door cables will wear as they age also and could break eventually. We can meet all of your Los Gatos garage spring and garage door cable replacement needs. A poorly functioning garage door can pose a hazard to you and your property. Don't risk it! Give us a call today! Is Your Los Gatos garage door off track? Don't despair! One of our qualified Los Gatos garage door experts can help! We can realign your garage door and make it feel brand new again. Give us a call if your Los Gatos garage door is off track and we'll get your garage door, and your day, back on track as soon as possible. Tired of Your Noisy Los Gatos Garage Door Puller? Is your screeching garage door puller waking your whole neighborhood up every morning when you leave for work? Give us a call and we can replace your old, noisy unit with a brand new one. We know how embarassing and irritating it can be to deal with an overly loud garage door puller and one of our Los Gatos garage door repair sepcialists can help! Call One of Our Star Technicians for All Your Needs For Los Gatos Garage Doors! We're the Los Gatos garage door professionals you've seen on T.V. ! No job is too big or too small for our star technicians. No matter what you need we can help and we are sure that you will be happy with our work. Give us a call today at (866) 949-3722 for a free estimate or to schedule an appointment with one of our as seen on T.V. garage door repair experts! "Theanks for the prompt installation of my new motor." "Prompt service by a superior technician. The problem with our door was quickly diagnosed and perfectly fixed within an hour." "Malek has been great!! He is professional and very helpful in explaining my options and answering my questions about my garage door and opener with respect." "Technician was outstanding!! He really knows his stuff when it comes to garage doors and openers. He was also personable. Perfect work!" "Very happy overall! Excellent on time service on my garage door." "Thanks for helping us out. Paulino did a great job. Our door now smooth and quiet. Great,great work." "Very proffessional; on time and great communication." 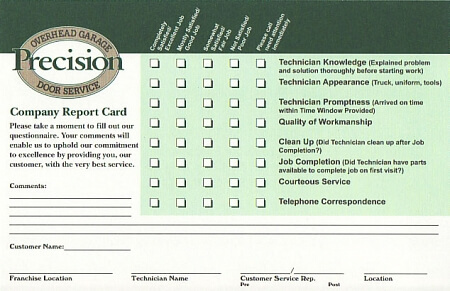 "We could not be more satisfied with Precision Garage Door Service. We had a broken spring and our garage door could not be opened at all. We called them at 7pm on a Friday night. I did not even think they would pick up the phone. Imagine my surprise when, not only did I get a nice, live person on the line, but they said they could have someone come out to our house that same night. The technician Doug Bookhammer showed up right at 9pm as he promised. He was friendly, helpful, and above all competent. He really knows his garage doors, and seemed to have an honest passion for the job. He replaced what we needed (springs and rollers) but did not try and have us replace items that were OK (such as cables). It was a tough job but, by midnight, it was done successfully. We were delighted. Only minor issue is that the garage door opener needed to be re-set. We have a Linear brand model which works well but is not the standard Liftmaster brand. Doug was not experienced with setting the Precision openers and with our model and so was not able to help with re-setting it. But I was able to get the manual from the internet and figure it out myself the next morning. All in all I'd wholeheartedly recommend Precision and Doug. If we have any future problem with our door Precision will get our call and our business."